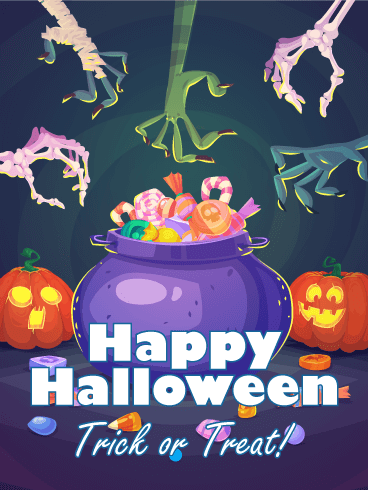 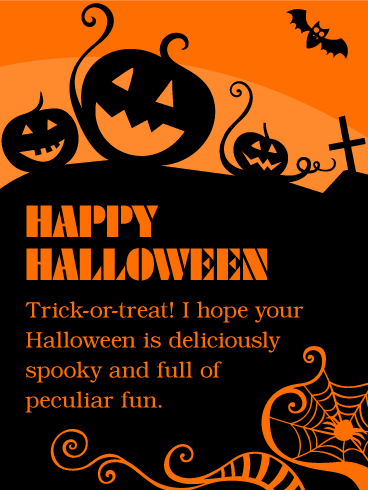 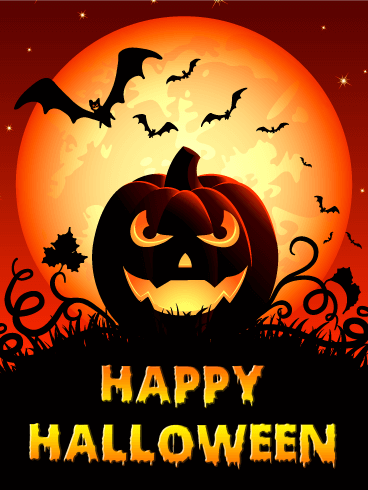 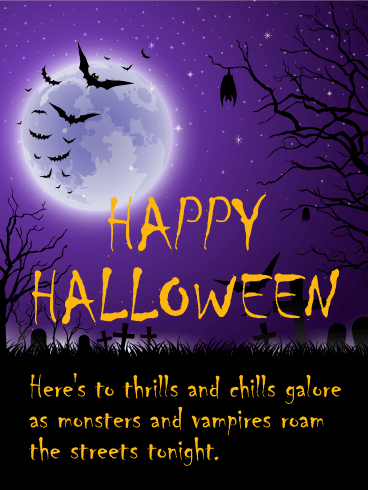 Surprise your friends by sending this fun happy Halloween card. 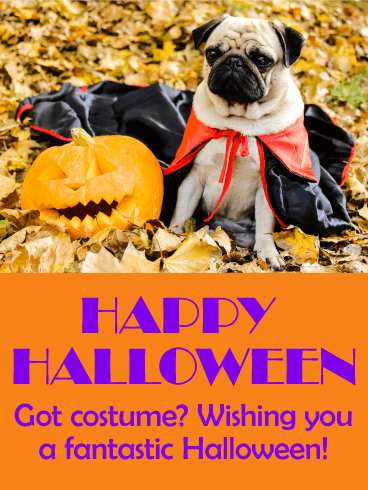 An adorable pug in a miniature vampire costume sits next to a toothy jack-o-lantern in a yard covered with autumn leaves. 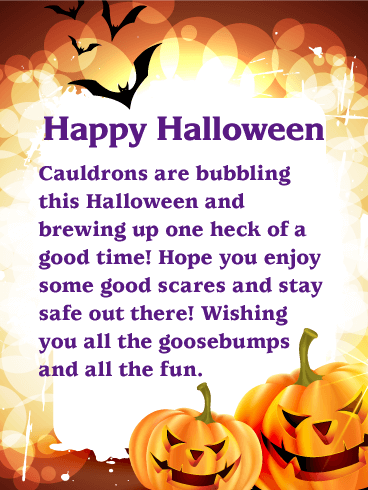 Against a bright orange background, purple text wishes you a fantastic Halloween! 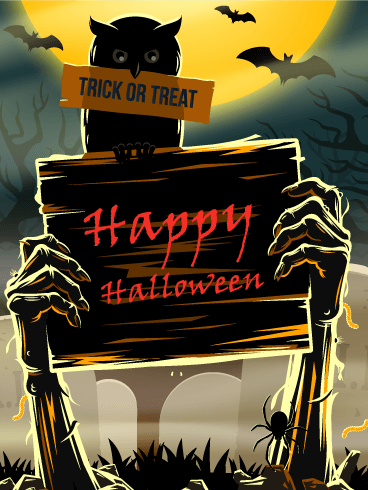 This cute happy Halloween card is sure to bring a smile to all the dog-lovers in your life. 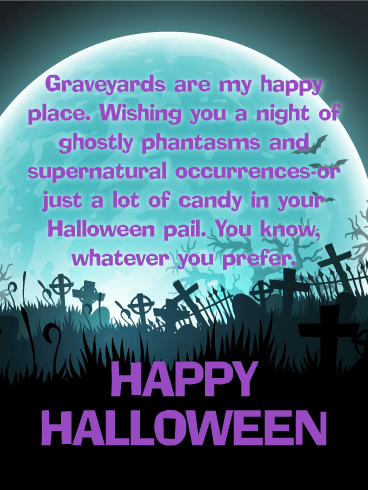 Remembers them with this fun happy Halloween card. 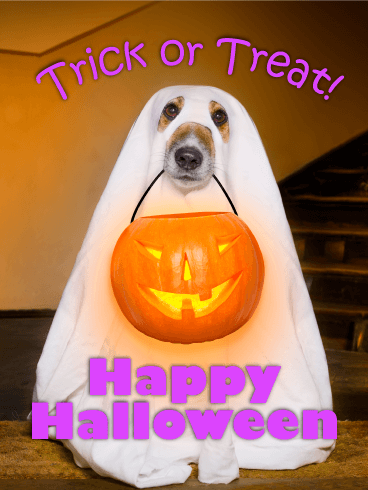 A cute pup in a ghost costume has come to the door with his jack-o-lantern pail to say "Trick or Treat"! 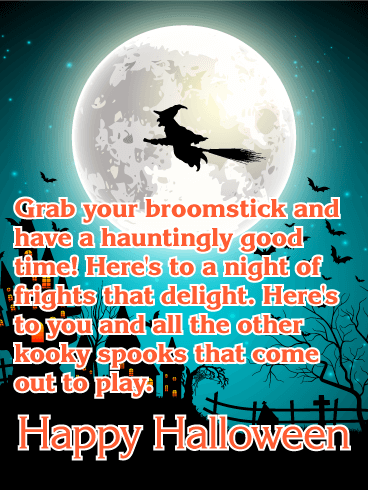 Do you have a doggie treat for him? 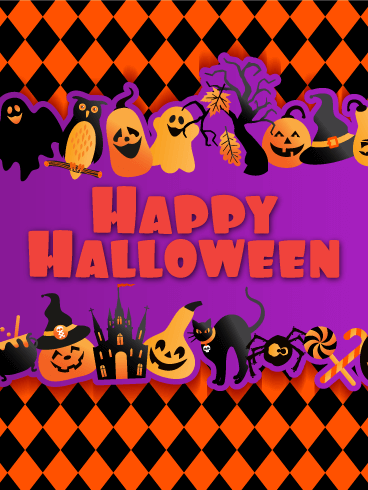 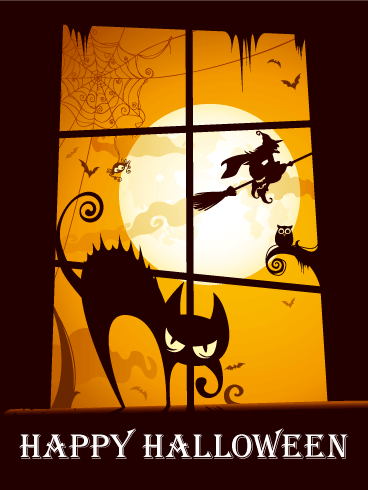 This sweet happy Halloween card will surprise and delight your recipient with its cute photo and simple message. 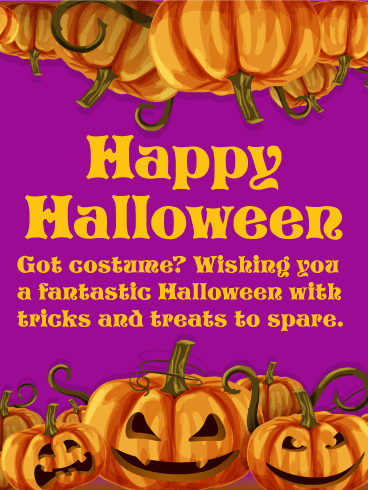 Treat kids and adults alike this October by sending them a happy Halloween card.